In Los Burritos Hostal you can relax on the third and fourth floor terraces. On the first floor there is also an extra bathroom . The building has video surveillance cameras in many common areas for security purposes.We have WiFi available. Puerto Chicama has NO ATM OR CASH MACHINES. It is very difficult to change bills that are over 50 soles. It is very very difficult to change foreign currency. Very few locations accept visa or mastercard. Please, prepare accordingly. 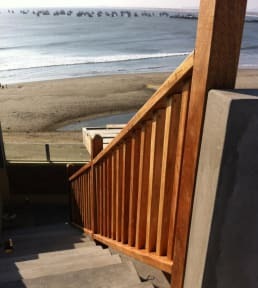 Los Burritos Hostal is located in Puerto Chicama,l that is a town in Northern Peru, capital of the district of Ascope Province in the region La Libertad. This town is located 20km off the Pan-American Highway some 33 km north of Trujillo city. 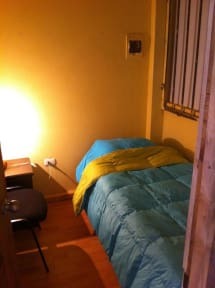 Los Burritos Hostal has 12 rooms. there is a shared bathroom for 5 rooms we provide this second bathroom as well for when the rooms fill up even though we are rarely ever full. The bathrooms are spacious and simple with a shower , toilet, and sink. We have kitchen access for all guests in some form. The dorm has a private bathroom and the others have a shared kitchen. Check in at 15:00 .